Quotations are a major part of the puzzle landscape. From cryptograms and Syllacrostics to crosswords where you end up with unhelpful clues like “Part 1 of quote,” I’d bet that an avid solver rarely goes a day without encountering a quote somewhere in their puzzling. I was working on a quote puzzle just the other day, and it occurred to me that, despite the hundreds and hundreds of puzzles involving quotes that I’ve created and edited over the years, I couldn’t think of any that were actually about puzzles. So, naturally, I went looking for quotes about puzzles. 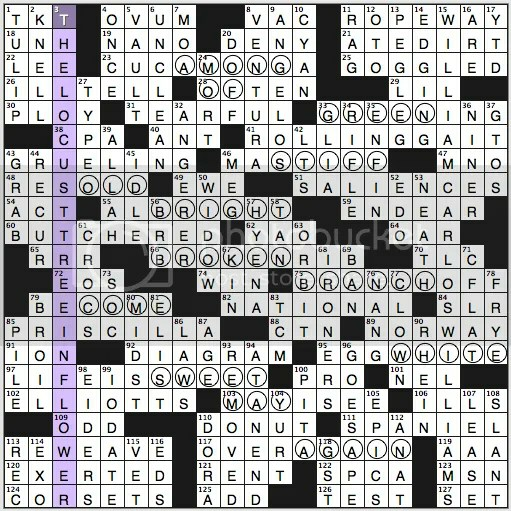 I had to narrow the field to crosswords, because quotes about puzzles were both too numerous and, oddly enough, not actually about puzzles. Oh sure, they mention puzzles, but only as a metaphor for something else. People are puzzles, or life is a puzzle, or the world is a puzzle, or writing is a puzzle, or acting is a puzzle, or making a movie is a puzzle. Insert topic, blah blah, puzzle metaphor. At least some people stick to the subject of puzzles when getting metaphorical. See, now we’re getting into actual crossword quotes. Okay, we’re back on track. There’s a definite theme of crosswords being associated with retirement and relaxation. But, to be honest, my two favorite quotes about crosswords didn’t come from celebrities or revered thinkers. (At least, not yet revered.) They came from college students on Tumblr, sharing observations, either their own or those of others. I think I’ll give the final word to another Tumblr user, who summed up crosswords brilliantly. Do you have any favorite quotes about puzzles, fellow PuzzleNationers? Let us know in the comments section below! Everyone loves a little something extra, and that goes double for puzzle fans. Whether it’s a hidden quote or a secret theme lurking in plain sight, a bonus answer revealed after a tough solve or a final twist that wows you with a constructor’s cleverness and skill, these little surprises are gifts every solver can appreciate. 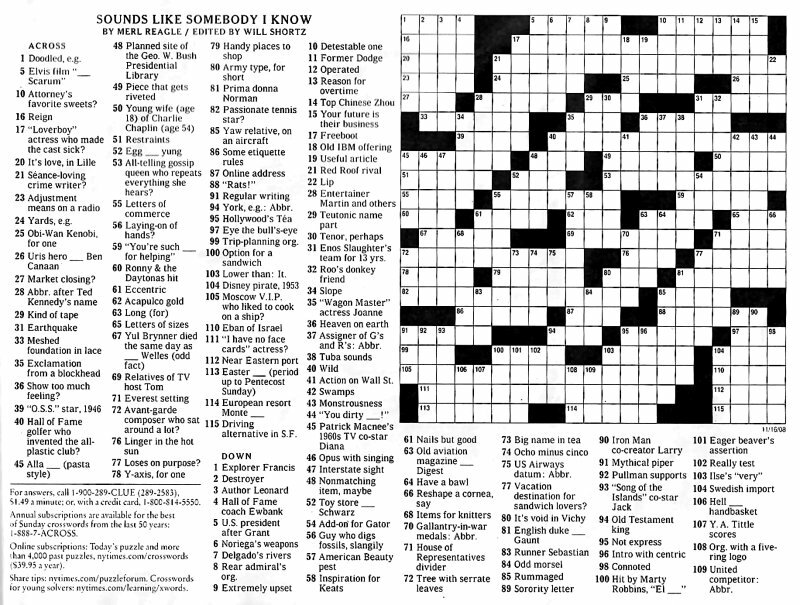 In Sunday’s New York Times Crossword, what appears at first blush to be a simple themed puzzle — with poet WILLIAM CARLOS WILLIAMS paired with his poem THE LOCUST TREE IN FLOWER — turns out to be much more, as the entire poem is concealed within the grid! While this is a particularly ambitious example, this is not an uncommon challenge for a constructor to tackle. 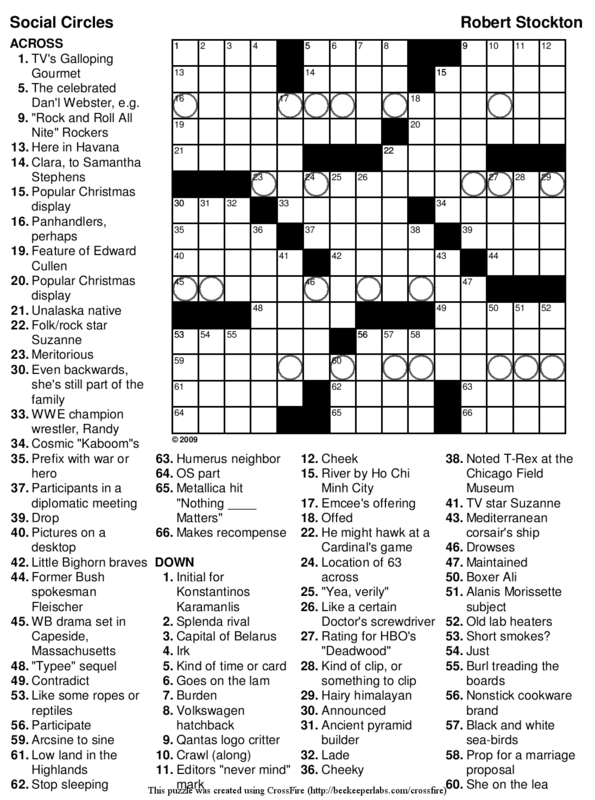 Sometimes, the bonus is announced upfront, as it was in Merl Reagle’s puzzle for the 100th anniversary of the crossword a few years ago. 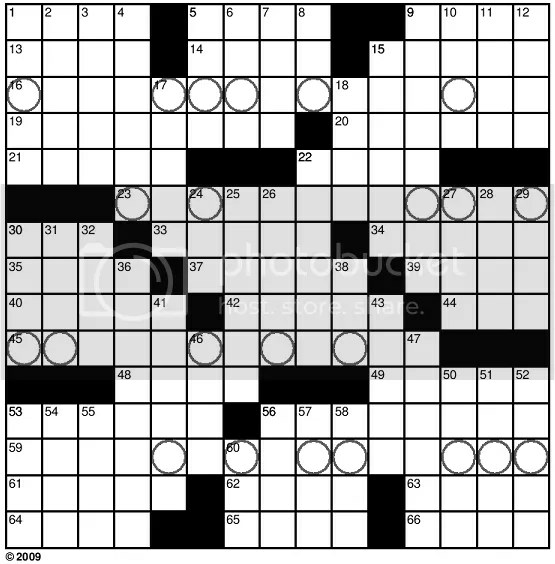 His puzzle was converted into a solvable Google Doodle, and Merl added a crafty word search element by hiding the word FUN multiple times in the grid. Why “fun,” you ask? Because that was the set word in Arthur Wynne’s original “word-cross” puzzle over one hundred years ago! Our friends at Penny/Dell Puzzles have a recurring crossword variant, Revelation, which conceals a quotation in a standard crossword grid, using the same letters-in-circles technique as Jacob Stulberg did in his poem puzzle. 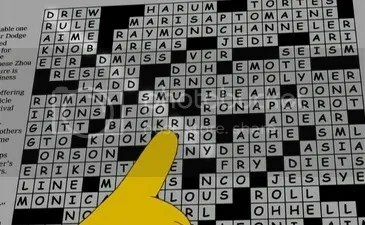 And, of course, I would be remiss in my duties if I didn’t mention the secret message reading out in both a New York Times crossword and a puzzle featured on The Simpsons, wherein Homer conceals an apology to Lisa inside a crossword with the help of Will Shortz. So, crossword fans, be vigilant! You never know what hidden treats are lurking inside seemingly innocuous puzzles.